Companies are on their way to achieving corporate cost reduction by centralizing procurement, but are they forgetting about their contacts halfway across the globe? When regarding strategic sourcing, one may conceive of a roundtable comprised of professionals, each of whom represents a different department. They express needs pertaining to business processes, materials, labor capabilities and so forth. While they may have realized that consolidating time and resources is conducive to eliminating redundancies, the question is: Are they forgetting about the experts scrutinizing supplier practices? 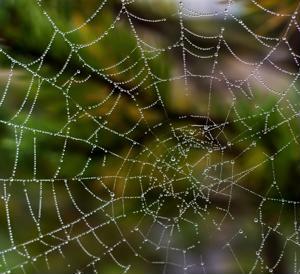 Revisiting the spider web analogy, it's important to think about the center of the web as the procurement team. Each member has business contacts throughout the world, enabling the enterprise as a whole to benefit from these connections if need be. Like all professional relationships, some connections are stronger than others, and a few may even operate behind a facade. According to IndustryWeek contributor Tom Bianculli, each supplier relationship affects distribution and customer satisfaction. The more transparent connections are, the better procurement services can deduce whether or not overseas partners are detrimental or beneficial. As one can imagine, technology plays a critical role in helping businesses achieve this level of visibility. However, clarity is only valuable when human insight is applied. For example, how does an African miner's tungsten production methods tarnish or benefit the reputation of a computer chip-maker? When engaging in conversation, it's not uncommon for some people to exaggerate or misrepresent situations to enhance their own image or manipulate others' perceptions. Unfortunately, the same can be said about a few businesses. This doesn't mean companies are something to be feared or are harboring malicious intentions (some do, but they're few and far between). However, hiring global financial analysts and other such professionals to scrutinize each supplier connection is imperative. When an enterprise's reputation is damaged due to a fabricated or faulty connection, this could also result in unforeseen losses that impact its bottom line in a negative way. One only has to look at Apple's iPhone 6 panic, which was noted by Supply Chain Digital. Apparently, two Apple suppliers asserted the backlight that helps illuminate the touch screen needed to be revised because it was too thin. This seemingly minor oversight sent the tech developer into a frenzy in an attempt to reconstruct the devices for a September 9 unveiling. While manufacturers may receive most of the blame, it actually belongs to the development team - an often overlooked part of the procurement process. Accounting for every relationship when sourcing is irrefutably important, as it can ultimately reduce a number of risks.